SIXTEEN-year-old Penrith Swimming Club member Laura Huggon has already filled her awards cabinet with trophies this year. However, it’s not all plain sailing. Swimming at highly competitive levels requires hard work and commitment, and Laura has to juggle her full-time schooling with training and competing. She is in the sixth form at Penrith Queen Elizabeth Grammar School, studying four A-levels and hopes to become a dentist. She also trains hard for swimming usually 10 sessions per week and attends competitions and galas at weekends all over the country. And she enjoys it all! Last weekend, the venue was Glasgow for the Scottish Nationals, where Lauracompeted against some of the best swimmers in the UK, many of whom were much older than her. She came fourth in 100m backstroke and seventh in the 200m backstroke. 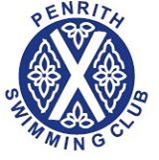 Her success at the county open championships also brought her the accolade of becoming the first Penrith swimmer to achieve a time of below 60 seconds for 100m freestyle. She has also recently qualified to swim in the British Youth Nationals in 100m freestyle and backstroke, and the British open championships in 50m and 100m backstroke, coming up in July and August. At the county age groupchampionships Laura was first in the 50m, 100m and 200m backstroke and 50m freestyle, winning the overall16-plus title, as well as taking fivesecond places and a third. In the county open championships she was first in 50m backstroke, 50m freestyle and 100m freestyle in both the junior and senior women’scategory, as well as taking two second places and a third. Laura comes from a family of strong swimmers. She is following in the footsteps of grandmother Jenny Birtle, mother Rosie and father Doug. Laura Huggon with her Cumbria junior womens and Cumbria womens 100 metres freestyle championship trophies. ABOVE: Laura Huggon with just two of the trophies she has amassed.